In search of the last model for his painting "Nine Pretty Women," acclaimed scholar Tong Pak Fu (Moses Chan) goes on a trip to Hangzhou with his ardent disciple Wat Kei (Johnson Lee). While there, he meets a pretty young maid from Wah's Residence, Chau Heung (Myolie Wu). Fu is mesmerized by Heung's beauty and martial agility and falls in love with her right away. In order to approach the girl, he disguises as a servant and assumes the pseudonym Wah On, seeking to win her affections with his talent and ingenuity. But contrary to his wishes, Heung is unmoved and even harbours an intense dislike for him after a series of misunderstandings. Master of the family Wah Hung Shan (Ha Yu) knew from the very beginning that Fu is not a common man. By the time his true identity is revealed, the scholar has already developed a close bond with the whole of the family, except Heung. In the meantime, Prince Ling (Savio Tsang), who has been attempting to rebel against Emperor Ching Tak (Chris Lai), has managed to involve Fu in his conspiracy by stratagem, thus getting the man and the Wahs into big trouble. Ling's daughter Chu Ting Yuk (Fala Chen) is in love with Fu. Desperate to save her dream man, she forces Ling to release Fu by threatening to kill herself. Yuk's consuming passion for Fu seems to have caused a ripple of unease in Heung, who is starting to feel a little twinge of jealousy inside. 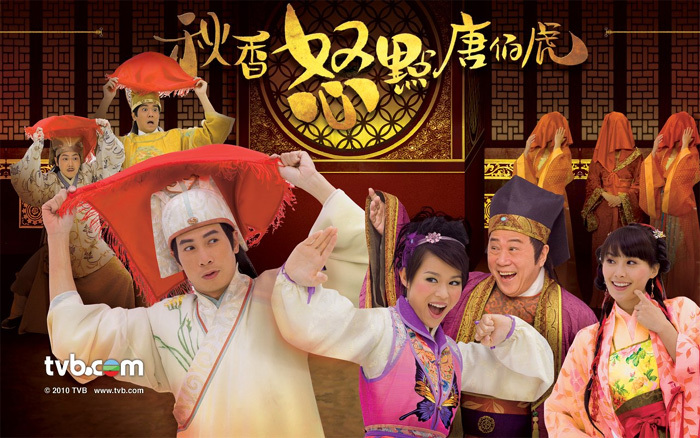 "A Fistful of Stances" will take over the TVB time slot previously occupied by the drama "The Bronze Teeth IV".